After years of civil war, much of the Democratic Republic of Congo is a lawless wilderness with no government rangers. 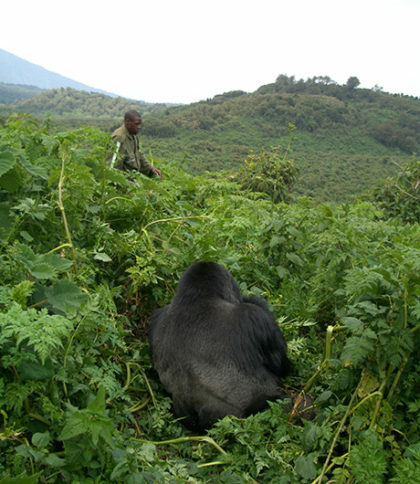 Our community rangers are brave and selfless men, risking their own lives to save their gorilla brothers and sisters. Kasereka Kipako, 34, was a father of two. Mberabagabo, was 54 and had five children. They were killed by poachers while on patrol in the deep forest near Walikale, north Kivu, in the DRC. Rangers are the last line of defence, protecting the gorillas and their habitat from the demands of the wider world, and they are the eyes, ears and voice of the forest. 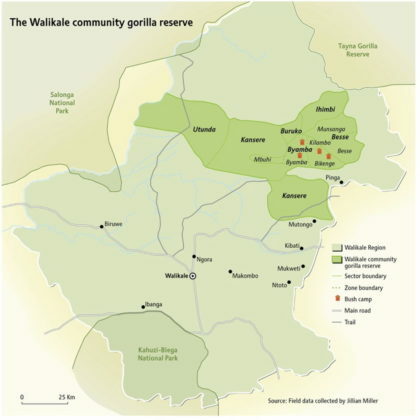 Every day they cut snares, save injured gorillas, combat the militias who run the ‘blood minerals’ trade, monitor the gorillas’ health and collect vital conservation data. 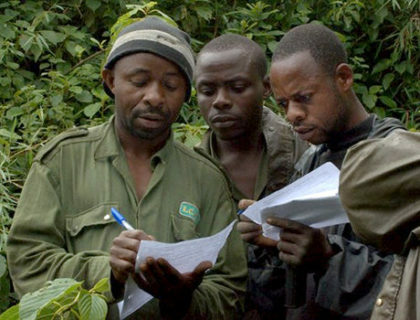 The Gorilla Organization works with the Congolese Wildlife Authorities to support the rangers working to protect the gorillas in Central and East Africa. They work in an environment that is hostile, unforgiving and often dangerous, yet they manage to build relationships with the gorillas that are intimate, lasting and which have undoubtedly saved gorillas’ lives.